1. 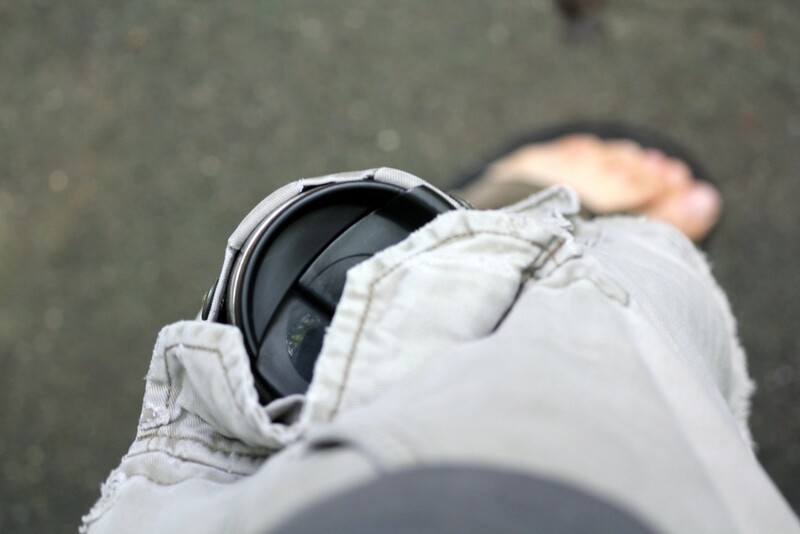 If I’d had more pockets on my pants, I would have had my hands free in high school. I would be able to open doors all by myself, I wouldn’t have spilled things on the floor, and I would have been able to shake hands vigorously with new people I met. People love a 16-year-old with a strong handshake, and they love a person who can devote full attention to them. I would have been more popular, easy-going, and prepared for what came at me. I would have been right there alongside the smooth-talking boys of my high school’s student government, already feeling like I deserved to get something if I worked hard. 2. With those extra pockets, I would have aced those college scholarship interviews, pulling out my trusty pen and paper to illustrate diagrams of the mobile granola cart I’d daydreamed of starting in a big city. The committee would see my preparedness as leading me to great things; I’d have gotten a good chunk of change toward the top-tier school that I ignored. 3. In college, my many-pocketed self would have come into her own both extracurricularly and socially. I would have written for the school paper instead of chickening out, knowing that I could have my voice recorder with me at all times without seeming “weird.” Always having chewing gum would become my trademark, and the dorm friends would have flocked to me. Knowing I had something to offer, even an extra pencil, would make me generous but also strong. 4. Confidence from college (and a lack of student debt) would propel me to apply for prestigious foreign teaching fellowships, and deep pockets (not money filled, but deep!) would have helped me travel light. There would be no lost passports, no forgotten granola bars, and no missing bus tickets. I’d get where I was trying to go, even if I still didn’t quite know where I wanted to end up. 5. All this success would snowball into graduate studies, or a hard-hitting reporting job, or a thriving empire of mobile granola carts. That’s the thing with success; having a little of it makes the next success that much more likely. If people expect you to be successful, you sometimes get there faster, and there’s no better manifestation than having your hands free for waving or shaking or eating your meal, no better demonstration than being able to quickly reach for your protractor when you need it rather than diving deep into a purse. 6. My long-term friends would be more numerous too, because there’s nothing like being able to focus on someone entirely rather than having your dinging, flashing, distracting phone in hand while talking to them. Realistically, I cannot imagine finding a better husband, but I know that he and I would have had a more solid foundation earlier on if I could always have a screwdriver or some scotch tape handy — qualities that he finds impressive in a woman but which he never quite found in me. 7. Just having access to pocket-full clothes would have helped me, even if the clothes the pockets were on were objectively ugly or just out of fashion’s capricious favor. If I had been bucking the trend by wearing miniature backpacks on the sides of my knees, people would have seen me as a maverick. If pockets had also been the height of fashion, I’d have been on the cutting edge. Men manage to look good with enough pockets on their clothes; I’m sure it could happen for women. 8. Instead, you can imagine, I’m constantly trying to find my keys, wallet, and phone. Instead, I’m carrying purses and bags that make me forget where I left things, trying to look like a normal woman. I’m leaving a purse here or there instead of keeping my pockets’ stuff in a pile that I can quickly grab. I waste minutes constantly, and seem unprepared. 9. Without the pockets, I’m a pretty typical 27-year-old with a traditional job who gets laughed at a little for how much a mess she is, and receives purses as gifts, which amounts to a suggestion to not stuff my tiny pockets to bulging so often. 10. With the pockets… the sky’s the limit. I could be an online magazine editor negotiating rights to my granola delivery service with Uber. I could be a world-traveling correspondent who has the wherewithal to make intense documentaries on a shoestring budget because I don’t need a crew to haul my stuff. I could be entertaining designers who were trying to get me to model their latest feminist fashions, complete with built in zipper pockets and maybe a holster on the hip. 11. I could, at least, fix the TV without having to rummage through everything I own to find a screwdriver. Even a household victory would be that little bit of success that might push me, edge me closer to those glass ceilings, and maybe test to see if they had any give in them.